Minor chords in music for any instrument — not just ukuleles — are considered the dark, sullen chords. But minor chords help you create beautiful, moody music, so don’t dismiss them. Every chord has a minor version, indicated with a lowercase ‘m’ after the chord name: C has C minor (Cm), G7 has G minor 7 (Gm7), and so on. 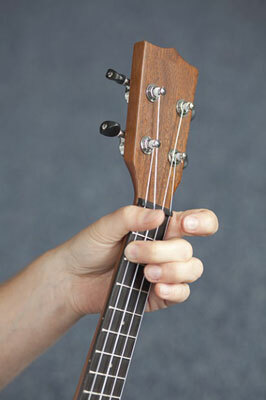 Putting your index finger on the E-string at the first fret. Fretting the g-string at the second fret with your middle finger. 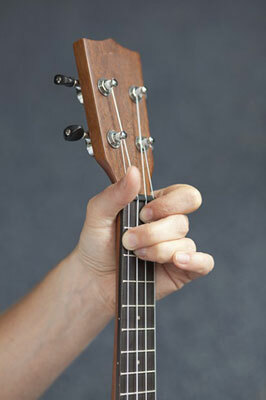 Using your ring finger to fret the E-string on the second fret. Because both your middle and ring fingers are arching over other strings, Em can be a tricky chord to get right. Pluck each string individually to make sure that it sounds clearly with no buzzing.